Logic programs with ordered disjunction (LPODs) add a new connective to logic programming. This connective allows us to represent alternative, ranked options for problem solutions in the heads of rules: A×B intuitively means: if possible A, but if A is not possible, then at least B. 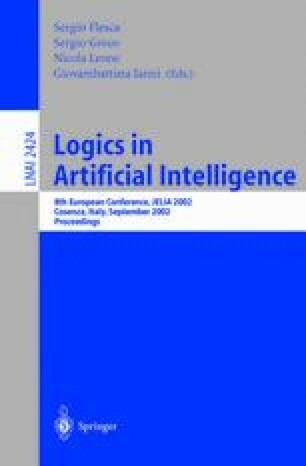 The semantics of logic programs with ordered disjunction is based on a preference relation on answer sets. In this paper we show how LPODs can be implemented using answer set solvers for normal programs. The implementation is based on a generator which produces candidate answer sets and a tester which checks whether a given candidate is maximally preferred and produces a better candidate if it is not. We also discuss the complexity of reasoning tasks based on LPODs.